Here's what's coming up this week. Please contact us if your event is missing! Tuesday, May 30: Informal get together for Coulee Region Sierra Club members and friends at 7 p.m. Bring a snack to share. Thursday, June 1: Please attend the City of La Crosse Finance and Personnel Committee meeting at 7:30 p.m. in City Hall as they discuss the restoration of Memorial Pool. Friday, June 2: Two important events in Madison. 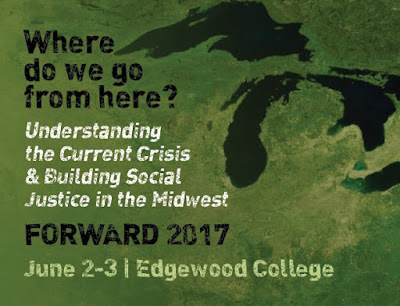 Hosted by the Havens Center for Social Justice at UW-Madison, Forward 2017 - "Understanding the Current Crisis and Building Social Justice in the Midwest" will be Friday and Saturday at Edgewood College. The lodging/meals deadline is past, but you can still register and attend workshops, discussions, speakers, and planning at this important event. Also, the Democratic Party of Wisconsin state convention will be in Madison Friday through Saturday. You do not have to be a delegate to attend. In addition to elections for party leaders and DNC delegates, a progressive caucus is being formed. Saturday, June 3: Habitat for Humanity is hosting a Plant Sale from 9 a.m. to 3 p.m. at the Habitat ReStore (on highway 16 between Woodman's and Veterans Memorial Park). And, at 7:30 p.m. the Alternative Truth Project will present "PUBLIC ENEMY" (a new adaptation of "Enemy of the People") at the Cavalier Theater. 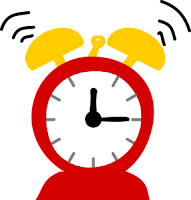 Are we missing your event? Please submit it for the calendar! As you may have heard, three guys in Portland tried to talk down a known white supremacist who was yelling threats at a woman wearing a hijab. Two of those peacemakers were killed and the third suffered life threatening injuries. He is a college student and social justice poet who works part time at a pizza place and he needs major and expensive medical treatment. Please consider donating to help him or the families of the two individuals who were killed. If you need any further proof that Wisconsin Republicans just can't stand to let living things alone, now there is a bill that would allow nearly unlimited six month "hunting" season of the state's woodchuck (ground hog) population. More appropriate would be to call it a "killing season" since they are not particularly fast, hard to find, or hard to track. It's not like woodchuck is a delicacy or people need woodchuck meat in order to survive. To be sure, if you have ever had your precious green bean patch wiped out by hungry woodchucks, you would wish those particular culprits ill, but, "'[T]he measure pulls out the big guns for no reason,' said Stan Temple, a professor emeritus of conservation, forest and wildlife ecology at the University of Wisconsin-Madison. 'I’d say it’s a (statewide) solution to a problem that really doesn’t exist on a statewide level.'" Scott Walker wants to drug test some of those who receive Medicaid benefits. When will they drug test those who receive millions of (sometimes unaccounted for) state funds through the WEDC program? If you haven't heard about it, or don't know what it is, Net Neutrality is the idea that people should be able to access content on the internet without Internet Service Providers (ISPs) blocking or manipulating (by speeding up or slowing) any specific sources. While the argument by the current FCC Chief is that Net Neutrality is anti-consumer and anti-business, they fail to provide any evidence of this. Instead they use rhetoric about the "free market" despite the fact that the ISP industry is effectively an oligopoly, with big firms setting standards and a high barrier to smaller firms to enter the market. What this comes down to is the fact that ISPs do not have to compete with each other. Therefore, they can instead forego freedom of speech to block content that they and their owners find to be disagreeable. ISPs would also be able to strong arm websites and other content providers not unlike the old concept of mafia insurance: "Nice website, be a shame if nobody could access it. How about you pay us and we make sure people can get to you nice and fast-like, huh?" Net neutrality is important because it is central to the ability for people to exchange ideas, as well as for people to organize. The progressive grassroots movements need Net Neutrality, and awareness needs to be higher about why it is important. This is a good speech. Why it's past time for these monuments and the mindsets behind them to go. Add to the list of important gatherings coming soon, this one hosted by the Havens Center for Social Justice at UW-Madison on June 2-3. The conference will be held at Edgewood College and will focus on the current crisis and its implications for the struggle for social justice in the midwest. If you plan to go and want to ride share, please email. FORWARD is an annual gathering of community activists, students, and educators committed to social justice. Please note and attend these community events coming up this week! Monday, May 22: At 3 pm, it's Gardening Day at the Kane Street Community Garden AND Bluffside Neighborhood Association has a meeting at the 1st Congo at 6 p.m. AND at 7 p.m. the Uptowne Collective will have board elections: "If you or someone you know who lives, works, or owns a business in the area and would like to have your voice heard on this important change to the City's Northside Business District on Caledonia Street should attend this meeting as Board members will be elected by those who are there with discussion as well. To be nominated to be on the board please send the nomination to ask@uptownecollective.com." 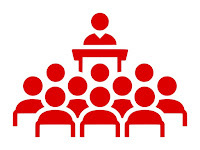 Tuesday, May 23: At 6 p.m., the Upper Northside Logan Neighborhood Association will meet at Trinity Lutheran Church AND at 6 p.m., the Washburn Neighborhood Association will meet at St. Paul's Lutheran Church (West Ave) AND 6:30 at Java Vino, join the League of Women Voters book club discussion of "The Politics of Resentment: Rural Consciousness in Wisconsin and the Rise of Scott Walker" by Catherine Cramer. Wednesday, May 24: From 8 a.m. to 2 p.m. attend the City of La Crosse Public Works Open House at their facilities, 1000 Marco Drive. The event includes demonstrations, kid friendly events, and tours from participating departments - Streets, Recycling, Parks, Water & Waste Water, and Safety AND American Heart Association's Go Red for Women luncheon fundraiser AND at 5 p.m. attend State Rep. Steve Doyle's birthday party/fundraiser at Piggy's (or you can donate online - Democrat Doyle is being heavily targeted by Republicans for the 2018 election) AND at 5:30 p.m. the City of La Crosse is hosting an info session/workshop for planning for a potential Avon Street "greenway" (more friendly to bikes and pedestrians) at the Black River Beach Neighborhood Center. Thursday, May 25: At 11:30 a.m., the La Crosse Area Diversity Council will host UW-Stevens Point professor, Maisee Yang Herr, in a talk about "Being a Female Hmong Professional." In addition, there are a few big events coming up soon that may also be of interest to our community. The Wisconsin Democratic Party Convention, June 2 and 3, is in Madison this year. It's too late to attend as a delegate, but you can still attend and join the discussion about the future of the party. The People's Summit will take place June 9-11 in Chicago hosted by an alliance of progressive groups including Our Revolution, Progressive Democrats of America, People Demanding Action, Democratic Socialists of American, and others. "We envision this Summit as further deepening the relationship between participating organizations rooted in principled anti-corporate politics, development of community leaders, direct action not based on partisan identification, and strategic organizing to build power. The Summit itself will include plenary and workshop sessions devoted to key issues such as the Fight for 15, mass incarceration and criminal justice reform, voting rights and expanding democratic participation, a tax on Wall Street speculation to fund human needs and jobs, climate justice toward a sustainable economy, improved Medicare for All, the fight for free and debt-free higher education, secure retirement through expanding social security, ending HIV/AIDS, achieving Constitutional pay equity for women, and ending deportations and support for DREAMers, among others." Speakers include Sen. Bernie Sanders, Naomi Klein, Roseann DeMoro, and Shaun King. 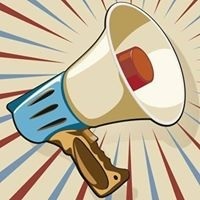 Our Wisconsin Revolution Founding Convention will be held in Stevens Point on June 23 and 24. 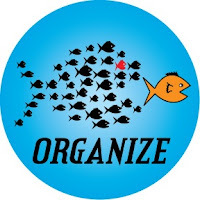 We begin Our Wisconsin Revolution with a bottom-up, grassroots organizing process because we believe in cultivating the popular democracy we seek to realize in the government of our state. This will lead to local chapters and a founding convention. We will generate the input and feedback from the people who will join Our Wisconsin Revolution as members, activists and leaders to shape the organization and its work. 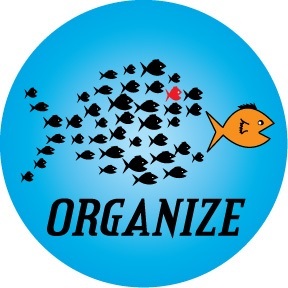 The product of this participatory organizing process will be put up for adoption at our founding convening.Following the organizing process and adoption of an organizational structure, governing rules, platform and program at our founding convening, we will carry forward the direct work of building the political revolution in our state and building Our Wisconsin Revolution. This past December in Milwaukee, white supremacist Milo Yiannopolous used a picture of a transgender UWM student in his speech, intentionally using the wrong pronouns and using phrases such as, excuse me, “trannie” and “man in a dress”. That student subsequently left the school in rage, humiliation, and fear. In January, a UW-Madison student attempted to start organizing for the “American Freedom Party”, a white supremacist organization based in "Third Positionism", antisemitic ultranationalism. Early in March, Charles Murray, the author of the book “The Bell Curve” was prevented from speaking at a college in Vermont. “The Bell Curve” argues that black people are inherently less intelligent based on average standardized test scores, even though IQ correlates more to poverty than to race (and, of course, black people are more likely to be impoverished, due to racism rather than any kind of inherent capability). Also in March, a white supremacist flyer from the neo-nazi website “American Renaissance” appeared at UW-Superior, imploring readers to ‘be proud to be white’. Other flyers were found at a university in Chicago calling for an end to “Jewish privilege”. In April, a so-called “Free Speech Rally” in Berkeley was organized by explicitly white nationalist and antisemitic groups such as the “Traditionalist Workers Party” and “Identity Europa”. A few days later, leader of the “Alt-Right” Richard Spencer spoke at Auburn University, where he called for making America an all-white “ethnic homeland”. In his May 1st column, syndicated "writer" Rich Lowry twisted reality in order to present anti-humanist demagoguery as somehow within the realm of reason. As with Charles Murray, who Lowry defended several months ago, Ann Coulter, whose columns can be found on the aforementioned white supremacist website "American Renaissance" does not engage in what Lowry laughably calls "reason", nor is she "an intellectual threat", with "a dissenting viewpoint". No. Coulter openly calls for mass killing of Muslims and spreads other blatantly racist drivel. It's a complete joke to hear the right-wing whining about "free speech". This is the first time in history that right-wing "ideas", namely racism and sexism, are being targeted. The historical targets of restrictions on speech, other than the Sedition Act, have been advocates of abolition, labor unions, birth control, and communism- hardly right-wing causes. These open-throated screaming right-wing defenses of freedom of speech are completely farcical. Democrats and liberals say that the bill ordering universities to punish students who disrupt speeches would itself be against free speech, but they are completely wrong. Disrupting a speech is not an act of expression of free speech. No, the real reason to be against this bill is that its purpose is to make campuses safe for white supremacists. For the last several months, there has been a push by right-wing activists and white supremacists to try to make campuses safe spaces for hate speech, claiming that they are acting in defense of "free speech". This push seems far too coordinated to be a coincidence, and if it is coordinated then we need to understand that this is coordination between conservative fools and outright neo-Nazis. We must be steadfast in ensuring that hate has no place on university campuses. This attempt to cry “free speech” has been used across the country by the right-wing, upset about not being allowed to preach hatred. When they say that they are “silenced” for views that people “disagree” with, they are attempting to say that racism and sexism, for example, might have some kind of intellectual merit. But free speech only works if the participants are abiding by certain basic principles, such as that they are honestly pursuing truth. Hate speech does not meet that criteria. Just because your mouth is open and noises are coming out does not mean that what you’re saying is worthwhile or protected speech. Libel and slander are not speech. Fraud is not speech. They are not speech because they are lies, and to spread lies, particularly on a university campus, is to sabotage the search for knowledge. If someone were to come and argue in favor of phlogiston or the luminiferous aether, we would not debate their theories but wonder about their motivation or sanity; if they attempt to use lies to fool people into agreement, we would be right to refuse them a platform to engage in this fraud, because they have crossed the line from “wrong” to “malicious”. The UW system is a bastion of free speech under the idea of “sifting and winnowing”. But the literal meaning of “sifting and winnowing” is that you throw away the chaff. The only purpose of hate speech is to delegitimize human beings. It is chaff. We must continue to take a strong stand against it, and allow hate no foothold on campuses. At his "Free Speech" talk late April, Republican M.D. Kittle, when asked about derogatory language, said, and this is an exact quote, "Protecting racial slurs is idiocy". Let's uphold that idea by rejecting hate speech, which amounts to nothing more than long-winded slurs, and not allow it a platform in any form. The humanity of black, Muslim, and LGBT people, and other targets of hate "speech", is not up for debate. By attempting to cast hate in the light of 'intellectual dissent', people like Lowry are smearing mud on real intellectual discourse. We have seen enough of the uselessness and falsehood of racism, sexism, homophobia, and transmisogyny. To disallow and dismantle hate and the intentional spreading of ignorance is to act in defense of true free speech and intellectual discovery, like white blood cells removing pathogens and dead tissue. When the right-wing whines about "free speech", they are trying to make the universities a safe space for hate, and that must not be allowed. While we are busy gaping at the clown and his antics, the real work of, "the most dangerous institution in world history" continues apace at the state and federal levels (bolstered by Republican judges who apparently believe that it's the right of partisan lawmakers to benefit their constituents by denying citizens the right to vote, for example). Wisconsin state senator Kathleen Vinehout has sent an alert about one of the latest creeping (and creepy) projects by the party that worships money above all things. 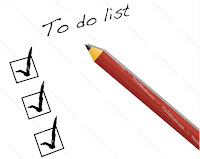 The REINS Act would affect every portion of state government, but there are five areas for which the majority of Administrative Rules are written: Agriculture and Consumer Protection; Natural Resources; Transportation; Economic Development and Workforce Development (Labor). The effect of the REINS Act on these areas of state government could be wide reaching. New laws that could be stopped might be related to consumer protections; human, animal and plant health; workers compensation, unemployment and discrimination protections; road and bridge construction; food, water and air pollution. Even clawing back state money from companies that refused to deliver promised jobs. In Washington, a similar REINS Act is moving through Congress. The Act was passed by the House of Representatives and is under consideration in the U.S. Senate. CCL Meeting starts at 6:30 p.m. Please email CCL if you plan to attend. The burning of fossil fuels takes a tremendous toll on public health, not only from the impact of climate change, but also from the pollution that leads to heart and respiratory problems. 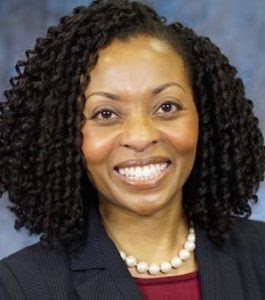 To learn more about this, we’re joined this month by Dr. Natasha DeJarnett, policy analyst in the American Public Health Association’s Center for Public Health Policy. Her specialty areas within the Policy Center include climate change and environmental exposures. We look forward to seeing you at the May 18th meeting. Email lacrosseccl@gmail.com with any questions. The Sierra Club continues to urge citizens to push local elected officials to commit to 100% renewable and clean energy as soon as possible. Locally, the club has had discussions with city and county leaders but so far talk has not turned to action. However, other mayors continue to sign onto the pledge including recently, the mayor of Madison. In Wisconsin, the Sierra Club has partnered with Madison's H&H Solar to provide members and non-members with free solar assessments including a homeowner cost/benefit analysis. Those who sign up to install solar will receive a group discount. In addition, RENEW Wisconsin is also helping and encouraging individuals and businesses to go solar and has offered to partner with the local Sierra Club in lobbying local officials to get behind more local renewables. Meanwhile, opportunities for individuals to flip the power switch continue to expand with the recent introduction into our state of California-based SunRun. The cost of solar is still dropping and new home batteries are beginning to enter the market. Some homes and businesses are already "cutting the cord" from power companies who continue to demand rate increases and rate payer support for expensive, unsightly, vulnerable long distance high voltage power lines. Net zero/Zero energy homes, continuing energy efficiency (even as Trump plans to ax the Energy Star program), better and innovative solar and battery technology, and the need for individuals to take matters into their own hands may mean that despite a regressive, dirty power administration, clean and renewable will win the day. Locally, the Town of Holland has installed solar panels on its town hall and offers residents group buy discounts. Fueled by financial projections, improving technology, concern about climate change, and disgust with the grip the fossil fuel industry has on status quo power generation and distribution, many cities are planning not just for 100% renewable, they are working toward 100% renewable off the grid. Developers in Minnesota, communities in New York and around the world are already showing this is feasible. This is the ultimate divestment from the fossil fuel industry. Electric and hybrid vehicles are becoming more mainstream with efficiencies and ranges increasing. Even if the silly Wisconsin Republicans' plan to charge hybrid drivers an extra fee passes, emissions savings will still make a difference. Given that vehicle emissions make up about one third of US greenhouse gas emissions, changing personal habits (like driving more efficient vehicles and/or less miles per year, and switching to public transportation) and pushing for more enlightened public policy (like improving and expanding public transportation and bike/ped infrastructure and pushing for policies that reward compact, walkable development), are things people can do on their own. What are you doing? How can you help others? Please sign the Sierra Club petition to your mayor and consider joining the Sierra Club or another local organization that is working to move local officials to take the renewable pledge AND next steps. "This shift in consciousness started on the night of the 8th of November, 2016; the United States election night! It felt like a takeover of my being. It was a thoroughgoing electrical surge pointing me in one direction, like a weather vane strongly turned. I knew I needed to become an indefatigable force for climate change consciousness. I was to educate about climate change, to encourage humanity to uncover its inherent, unquestionable intelligence and resilience, to build sustainable communities that would not only survive but thrive even as climate change accelerated and was denied by its perpetrators. There was nothing of greater importance for me to do. My devotion to individual healing became instantaneously transmuted into an intense focus on collective awakening to this singular necessity: looking climate change in the eye, meeting its challenge joyfully and creatively, and serving as a steward for the planet." On Wednesday, May 10, you can meet and talk to Mike McCabe who is considering a run for governor. He'll be at All Star Lanes (Mormon Coulee Road across from Walmart) from about 4 to about 6 p.m. If you can email Mark if you plan to attend, please do! Also, the next meeting of the La Crosse County Democratic Party on Monday, May 15 at UPDATED - NEW TIME! 6:30 p.m. will be in a different location than usual - Room 102 Wimberly Hall on the UWL campus (parking is free in the evening and the #4 bus stops very near, too). 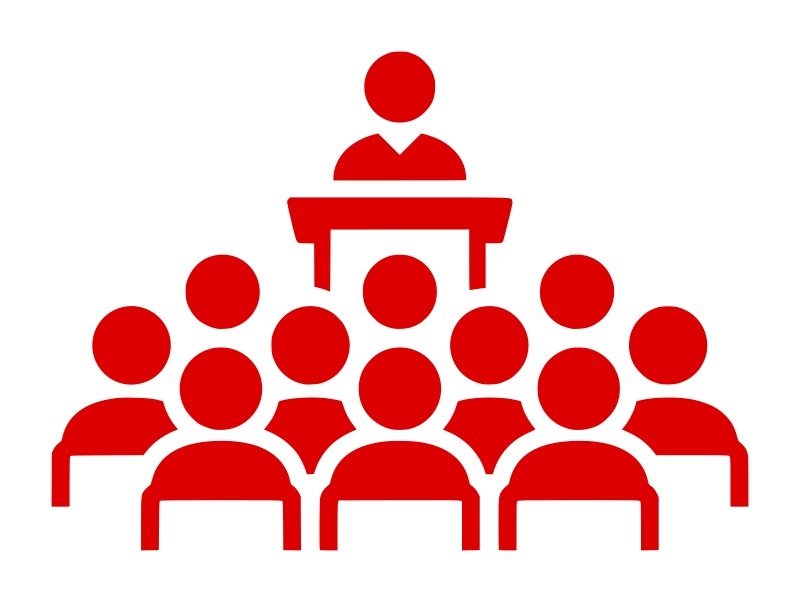 Very important - candidates for Democratic Party of Wisconsin chair will be at the meeting to answer questions and updated bylaws will have their first reading. [from Anne D] The 3rd reading of our Alternative Truth Project is this coming Tuesday, May 9th, at the Brickhouse (corner of King & 5th) at 7:30. The play is "Native Gardens" a dark comedy about a white couple in the suburbs and the young Latino couple who move in next door and the issues that ensue over their gardens and the wall the separates them. Great script and a great cast including Mary Leonard and Joe Anderson from UWL. As always, free and open to all with a discussion to follow. Please email if your event is missing! Today, the La Crosse Tribune had an article about a possible run for governor by Mike McCabe (you may remember his energizing speech at February's Progresstival). People from around the state have been asking him to consider challenging Scott Walker. McCabe is founder of Blue Jean Nation ("We believe the biggest problem facing Wisconsin and all of America today is a political system that caters to a few at the expense of the many.") and a founding member and former director of the Wisconsin Democracy Campaign.